This subject pictured above allegedly stole store merchandise on more than one occasion from the Hy-Vee located on SW 29th St. If you have any information on this subject’s identity, please email criminalintelligence@topeka.org. You can also call Crime Stoppers at (785) 234-0007 to report anonymously. If your tip leads to an arrest, you could be eligible for a cash reward. 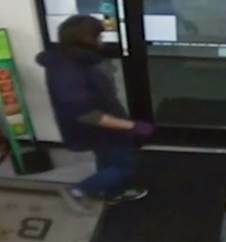 On February 6, 2019, a male was kicked out of the BP Amaco Gas station at 6th & Quincy in Topeka. 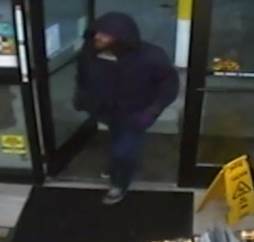 The man returned an hour later and attacked the clerk with a plastic crate. We are now attempting to identify the suspect for Aggravated Battery. 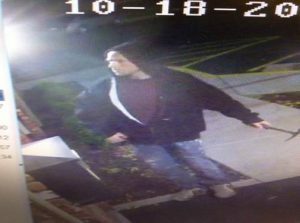 The suspect is described as a white male in his 20’s, approximately 6′ tall, weighing about 200 lbs with brown shaggy hair. If you have any information on this suspect, please email Det. Bill Ackerly at backerly@topeka.org or call him at (785) 368-9509. 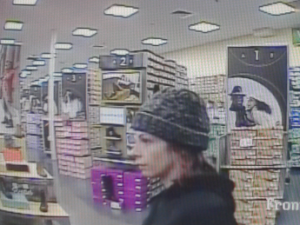 We are attempting to identify the above subjects in a theft and battery investigation. Anyone with information regarding this crime is encouraged to email Detective Henley at ghenley@topeka.org. 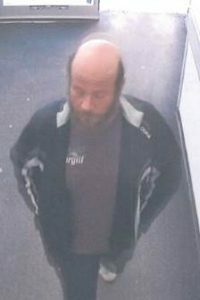 You can also report anonymously by calling Crime Stoppers at (785) 234-0007 or submitting tips online at www.p3tips.com/128. If your tip leads to an arrest, you could be eligible for a cash reward. We are attempting to identify the female suspect in the above photo. 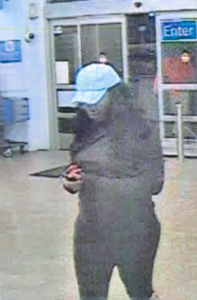 We would like to speak with her about a fraudulent return at Hobby Lobby that took place in June of this year. Anyone with information regarding this crime is encouraged to contact the Topeka Police Criminal Investigation Bureau at (785) 368-9400 or Crime Stoppers at (785) 234-0007. You can also make anonymous tips online at www.p3tips.com/128. If your tip leads to an arrest, you could be eligible for a cash reward. On October 18, 2018 just before 5:00 a.m. the suspect pictured above reportedly broke into the Villa West Apartment Clubhouse located at 2744 SW Villa West Dr. He was seen getting into a white 4 door car. 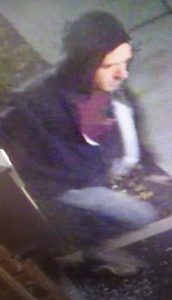 This suspect may also be responsible for a burglary on the same morning at 5:43 a.m. at the Southbrook Apartments located at 5201 SW 34th St. If you have any information on this suspect, please email Sgt. Dan Wilson at dwilson@topeka.org or call him at (785) 368-2583. 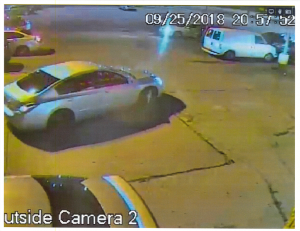 On September 25, 2018 between the hours of 9:00 p.m. and 10:00 p.m., this subject arrived at the Walgreens located at 1001 SW Topeka Blvd and then at the Walmart at 2630 SE California in what appears to be an Silver or Gold Nissan Altima. The subject allegedly committed criminal use of a financial card at both stores. The cards were part of a theft that occurred at the University of Kansas St Francis Hospital, in which a wallet was stolen out of the purse of an employee on the same date (Sep. 25) within the hours of 5:30 p.m. and 9:00 p.m. Note: The subject’s vehicle appears to be missing a hubcap on the passenger side rear wheel. If you know who this individual is or have any information relating to this crime, please contact Detective Harrison at charrison@topeka.org. 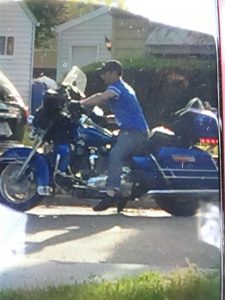 On September 1, 2018, these two subjects reportedly took a couple hundred dollars worth of merchandise from the Caseys gas station at 45th and SE California. If you know who these two are or know their whereabouts, please contact Det. Wilson at (785) 368-9551 or email him at cdwilson@topeka.org. 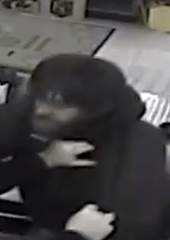 On Aug. 27, 2018 at approximately 12:45 a.m., the suspect pictured above damaged the front glass door of the Open Stop convenience store located at 3101 SE 6th Ave. The suspect returned to the front door multiple times attempting to force entry into the business. Luckily he did not gain entry, but he left a lot of damage. If you have any information on his identity or whereabouts, please contact Lt. Robert Simmons at Rsimmons@topeka.org or call him at (785) 368-9551. 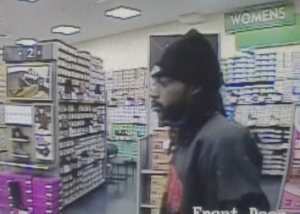 This subject reportedly stole merchandise from the Bed Bath and Beyond on SW Wanamaker Rd. If you have any information on her identity or whereabouts, please contact Det. Wilson at (785) 969-0629 or email him at cdwilson@topeka.org.